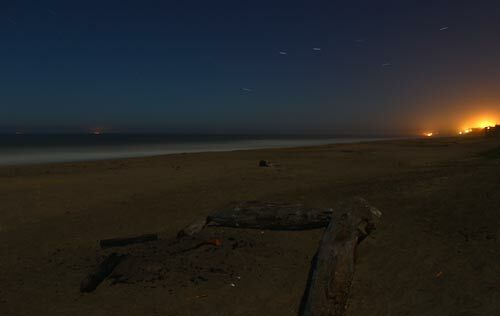 Lincoln Beach at Night - not to be confused with Lincoln City. 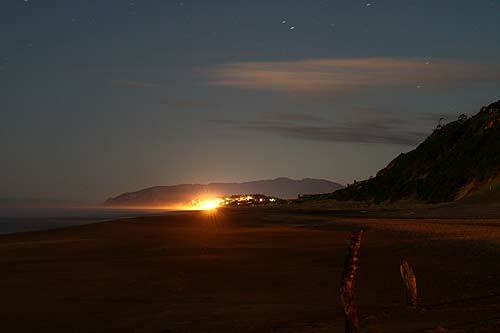 You never know what you'll find on the beaches of the Oregon coast at night. Every photo session is a bit of a surprise. Atmospheric conditions change, reflecting and refracting the lights of the nearby towns or homes in different ways. Lincoln Beach sits a mile south of Gleneden Beach and about two miles north of Depoe Bay. Like Glenden, this stretch is often full of coarser, larger grains of sand and steep tide lines.